I’m a new mom…and as such I know nothing about child rearing. Luckily this is the “easy” part and the decisions I’m making aren’t going to turn Genevieve into a threat to society. But “easy” is relative isn’t it? For me, I want, no I NEED to have some structure…and know what to expect…and have a plan…and be in control. I know what you’re thinking: Why did she have a kid again? Trust me if it were not for the beautiful miracle that is my daughter, the closeness gained with my husband, and my heroic (yes I said it) defeat of the labor process, I might wonder myself. Even though this part might not have a long lasting effect on Genevieve, it certainly will on my sanity. And so to learn about feeding, schedules, and general infant maintenance, I turn to my friends (poor Meg must be tired of my incessant texts) and family (sorry Erin) for advice, but so as not to tempt them to sever their relationship with me, I also read a couple of books religiously for how-to’s. "On Becoming Babywise" was recommended to me by my oldest and dearest friend, Angela. I honestly can’t compare it with much else because I basically read it and obeyed. But I can say it seems to ‘work.’ Genevieve is 3 months old and has been sleeping through the night (8-9 hours) for about a month. Now I warn you, this book is not for the faint of heart. I think at times it can definitely seem harsh. Case in point, the nurse who runs the mommy and me group I attend basically took it out of their library. Now to me that seems extreme, but it goes to show different strokes for different folks. 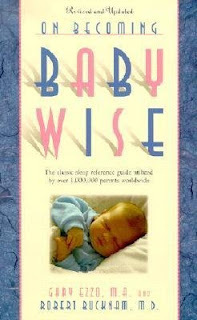 Babywise basically employs the “eat, wake, sleep” (sometimes called “eat, play, sleep” or “eat, exercise, sleep”) method in order to teach your baby to fall sleep on his own rather than be nursed to sleep. 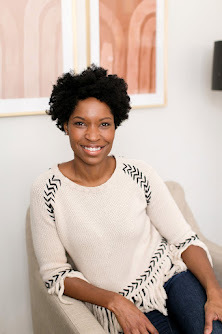 The book discusses establishing a routine, feeding philosophies, and babies and sleep. The premise of the book is that the baby enters an already established family unit, and that rather than the world revolving around baby, the family unit’s foundation is a solid relationship between husband and wife (though the author does address single parents). Now again, the book isn’t for everyone but I agree with about 90% of it and it seemed to work for Genevieve. 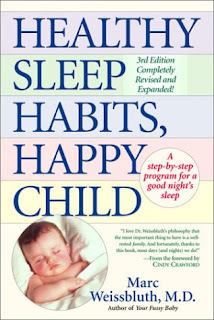 The second book is "Healthy Sleep Habits, Happy Child." This one is a bit more technical. It goes into great detail about the mechanics and science of sleep. I personally didn’t find it quite as easy to read and follow but it does give solid advice about the do’s and don’ts of sleep for infants. Now the two books do sometimes conflict with each other, which for me, is where my maternal instincts must break the tie. But their overall messages tend to be similar—a baby can learn to sleep through the night but we, the parents must teach them and not leave it up to chance. This book discusses how children sleep, how parents can help their children establish healthy sleep habits, and how to deal with sleep disturbances and concerns. I’ve only read up to Genevieve’s age so I have yet to complete the entire book, but so far, so good. 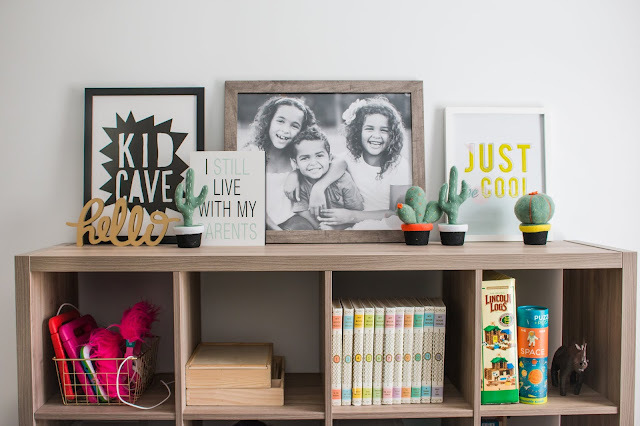 Hopefully if you’re looking for some advice about parenting or getting your child to sleep through the night one of these two books will help you. For my personality, research is king! That said, you can read five books that will tell you five different things to do (or not to do) which can drive you crazy. 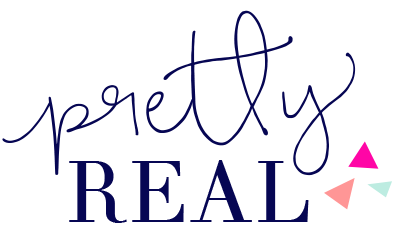 This is where I’m learning to trust my instincts and be confident that I know my baby better than some doctor or author who has never met her which sometimes trumps the “right” thing to do. So tell me, when did your baby start sleeping through the night? And is there a particular method you used or book you followed? P. S. Here’s to a good night’s sleep to all you moms with new babies!! Hey Tiffany! Did you let Genevieve cry to sleep at all? Ironic that you have posted this right when Max is 4 1/2 weeks old and we are on Day 3 of being on our own after lots of family visiting. I have read Baby Wise and have tried the principles of a full feed and also the play, wake, sleep schedule, but Max just cannot seem to put himself to sleep! 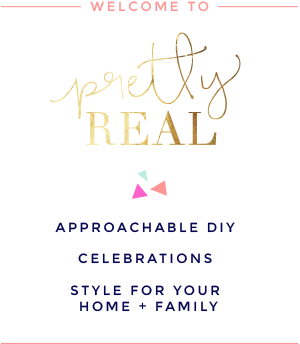 I'm looking for lots of ideas from people! Would love to hear more detail on your experience with Genevieve and if you let her put herself to sleep and how you went with seeing that happen!! It seems there are a lot of conflicting opinions on the topic--from nurses, doctors, moms, and other 'experts'! All I can say is Genevieve and Grace are amazingly happy babies that sleep well!! Thanks so much Linda for your comments and professional opinion! I agree that letting the baby "cry it out" in the first 3 months is something that should not be done carelessly. With Grace, when she was 10 weeks old, I let her cry only when I knew that she was well-fed, well-burped and in a dry diaper. As I said, I did go in and check on her, to make sure she was ok. For her, her crying was very very mild and more like whimpering. If your child is screaming bloody murder and seems very upset, I would whole-heartedly agree with waiting on the crying it out method and instead comforting your child. As with everything with babies, every child is going to respond to things differently! In regards to the scientific research, I agree that Babywise is not backed by any, however for me personally, I found the personal recommendation of the methods by numerous friends with children successfully sleeping through the night far more valuable to me! For scientific backing, Dr. Ferber's progressive waiting approach in "Solve Your Child's Sleep Problems" (which is actually more what I did) is scientifically verified and recommended by many pediatricians. In regards to infant depression, what I have read on the subject indicates that oftentimes infant depression has a lot to do with a neglectful family environment. (And by neglectful, I mean entirely different than letting your baby cry themselves to sleep in a controlled and loving situation so that they learn how to self-soothe and fall asleep on their own.) How sad that someone could be labeled as "depressed" (and even potentially medicated) in the first few months of their life for reasons largely out of their control!